Seattle is really a charming city. It's surrounded by great outdoors like Mt. Rainier and Mt. Baker, short getaway to Whidbey is just one ferry ride away, and the diversity of the city provides amazing cuisine! Seattle is the place to be for anyone who loves the arts, music, and adventure! So many different vibes makes it the city for anyone! Waterfront views mixed with city views is beyond beautiful. Pike Place Market gives you a little taste of a bunch of local food that is to die for! Love this city. Everyone’s first thought of Seattle is rain. Their first question is “ doesn’t rain a lot up there?” Followed by their opinion “ it rains too much in Seattle for me.” Yes it rains and for months during winter. May or May not snow. Summer is best time of year (unless you’re a winter person) to enjoy all of Seattle’s natural beauty. Lakes, Bays, Island, beaches, Forest and Mountain tops. Nightlife is very diverse, entertainment for all. Hungry, well your in the right city. LOOK UP! I bet there’s food in eye sight. What can I say. I love the place. We had a blast in Seattle! The nighttime view from the Space Needle was amazing! Very unique city! One of a kind for sure. Will definitely be coming back. I could live here! A vibrant multi-faceted city that continues to impress. From museums to mountains, there are endless opportunities to have fun here. Seattle is an amazing town with endless options for things to do. We love water front, the malls, hiking, parks, theatre, comedy, and such delicious food options. Seattle is a must see place for everyone. One of the cities I always wanted to visit and got to do it last year for a few days. Loved the architecture and the food. I took my first trip to Seattle in January. All I can say is.."When can we go back?!" My husband and I loved every minute of it, even the rainy parts! Luckily we got there during a time of mostly sunshine even the locals were shocked about. Yes, it is true, you can smoke weed on the streets, but I honestly did not find it alarming or annoying in the slightest. 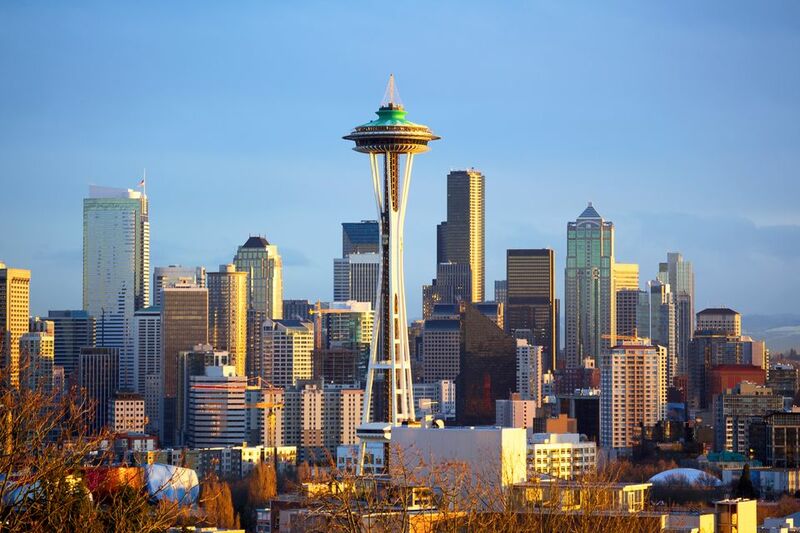 There are SO many things to do in Seattle- Pike Place, Kerry Park, Space Needle,....you name it! I would recommend staying as close as possible to Pike Place Market so you can literally just walk out of your door! Staying right next to Pike Place was by far my most favorite aspect of the trip. Highly recommended for anyone and everyone!